Hauptstadtkoffer is a German luggage brand of modern and elegant suitcases from Berlin Tempelhof. 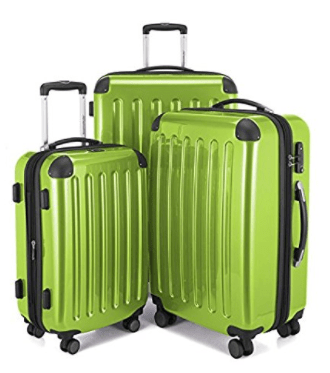 And the three hard side spinner suitcases from Alex series in this set are practical, lightweight, sturdy, modern and colourful like the rest of the Hauptstadtkoffer products. 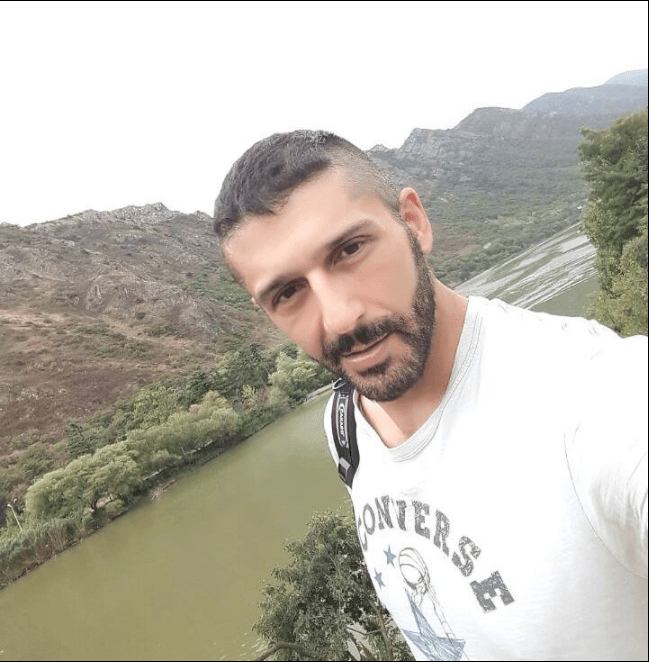 The company offers some of the best price – performance ratio in the industry, with a decent ten years of warranty and repairs service and has more than hundred thousand customers in Europe and globally. There is a 30-days return policy with no questions asked and they will exchange the suitcase without any cost to you if there are any manufacturer defects. The warranty covers the manufacturer defects only and not the normal wear and tear. They are rather spacious inside and have an expandable design by 1.5 inches for 15% more volume: The largest 28-inch suitcase weighs 11.5 pounds, measures 29.5 x 19.7 x 11.8 + 1.5 inches with a 119 liner capacity. Medium one weighs 9.3 pounds, is 25.6 x 16.1 x 10.2 + 1.5 inches, with a 74 liner capacity. And the smallest cabin bag weighs 7.1 pounds, has the dimensions of 21.5 x 13.5 x 7.5 + 1.5 inches (conforms to IATA guidelines) and a reasonable storage capacity of 42 inches. They all have the resettable TSA combination lock to give you a better peace of mind, as they can only be unlocked and locked by the TSA agents at US and Canadian airports. These hard side suitcases are made of Polycarbonate and ABS material that makes it both lightweight and robust. The very efficient mechanical design and the top synthesis technology used makes them firmer, sturdier, more durable and glossier. You can store them nested into one another, as this is also how you will get them shipped to your address. There is the better bearing capacity on the four wheels that rotate 360 degrees- in multiple directions quietly and smoothly. They have the solid and comfortable, nicely padded handles on the side and the top and the anodised aluminium telescope handle with an ergonomic grip that pulls and locks conveniently. The fully-lined interior includes a flexible divider pad with a mesh pocket and the elastic cross straps to keep your clothes and other stuff in place. The TSA lock on these units is a TSA002 lock that includes a 3-digit combo for the user and the key lock for TSA staff. If you encounter any problems with the combination reset, you just need to press the little reset button. Please note that the Hauptstadtkoffer suitcases are all designed in Berlin but are manufactured in China and the quality control is also in Germany. There are a total of 32 colour options you can choose from and if you go for the different bright colours they will stand out better among many suitcases on the luggage carousel and you will be less likely to lose them.